The Trevena family has over 35 years experience in Fort Collins and 45 years in Colorado. The Rollerland family has the best entertainment in town. We provide a fun, safe and alcohol free environment for children and adults. Every session has a live D.J. to play the best music along with your favorite games. At Rollerland you’re guaranteed to have a good time. As a family business we strive to stay close to the community. Rollerland Skate Center gives back to the community with discount rates for non-profit organizations and also fundraisers. Last year we raised over $15,000.00 for local schools through our family night fundraisers and for our 25th Anniversary celebration in 2005 we donated $2,500 to the Poudre School District Foundation. On Wednesday evenings we have a discount session for only $2.50 and we have also been involved in the PaCE program through Poudre School District since the early 90’s. 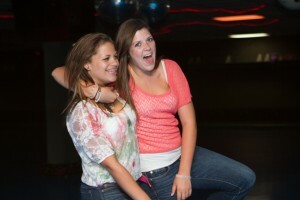 Rollerland Skate Center has recently undergone some remodeling in addition to new skates and an upgraded sound system. We now offer an indoor playground, Northern Colorado’s first Laser Maze Challenge and a new “redemption game” arcade. For the beginner skaters we have “Skate Trainer’s” available to rent. Last year, we expanded our Birthday party rooms, and we have expanded our concessions menu to offer more great food. So, come on down to Rollerland Skate Center – Where The Good Times Roll!! !